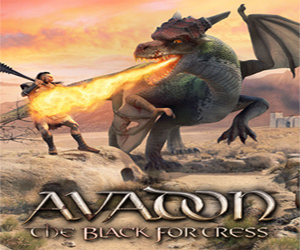 Avadon The Black Fortress by Spiderweb Software, described as the first chapter in an epic RPG saga on the official site is a fairly new top down RPG I have been playing recently. It seems a little concerning that both my last two reviews have been about games with so similar a premise. Really though, there isn’t that much similar between the two games. While Drakensang focused largely on the Multiplayer aspect and less on the RPG (as is standard in any MMO), Avadon is fully 100% an RPG. It’s ALL about the story and the role-playing. 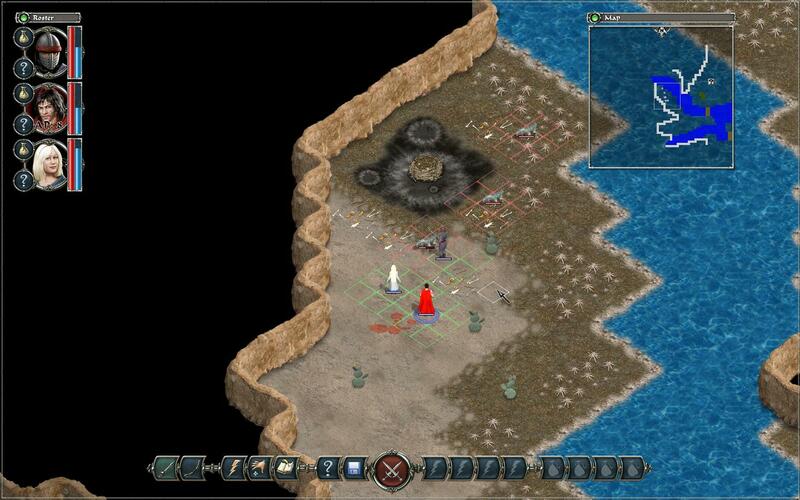 The graphics and combat are pretty different as well, while Drakensang had reasonably realistic graphics, Avadon instead went for pixel sprites and a far more zoomed out camera view. Also while the combat in Drakensang is real time and involves a lot of clicking the combat in Avadon is more similar to Dungeons of Dredmor and is turn based. In Avadon you quickly get a party to help you on your adventures and when the fighting starts each character is allowed to move a certain distance and use one spell, item or attack. Then once all your party members have had their turn all the nearby enemies have theirs. Like in any RPG a lot of focus goes onto character building. Leveling up, increasing your stats, improving your items, getting new abilities and spells are all the name of the day. And that’s fair enough. It’s an age old system which still works. 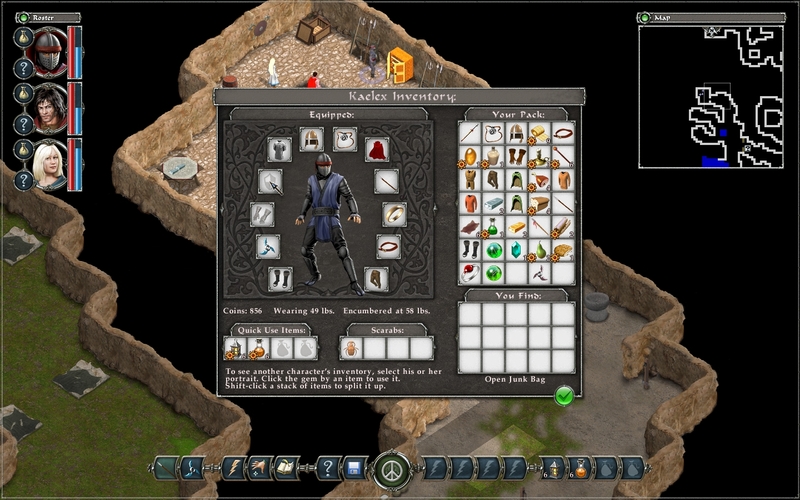 Plus there is the standard, buying and selling that goes on in RPGs, for example I tend to pick up everything and then sell it all when back at town, as any good RPGer does (as you can see in the screenshot below). As a side note here, every character actually has their own inventory space, and I actually rather like that. After all I think it makes a good deal of sense that if one person can carry lots of stuff… why can’t everyone? Alright, so I’m going to be honest now. I am stalling. So far I’ve only been describing the game without actually saying much about it. And there is a reason for this. It was boring. I know, I realise this seems to be almost my catchphrase now, and that bothers me, but it’s the truth. Any story based RPG involves a certain amount of “getting-into-the-game”. You have to play it a bit before you suddenly realise how committed you are to your character and the story, and it’s a more rewarding experience because of it. I swear I tried, I pushed onwards and forwards through the game, making myself try and get as far as I could. When I suddenly realised… I was MAKING myself do it. That isn’t what I have in mind for games. The worst part is, I’m not entirely sure what it is that I really disliked about it. 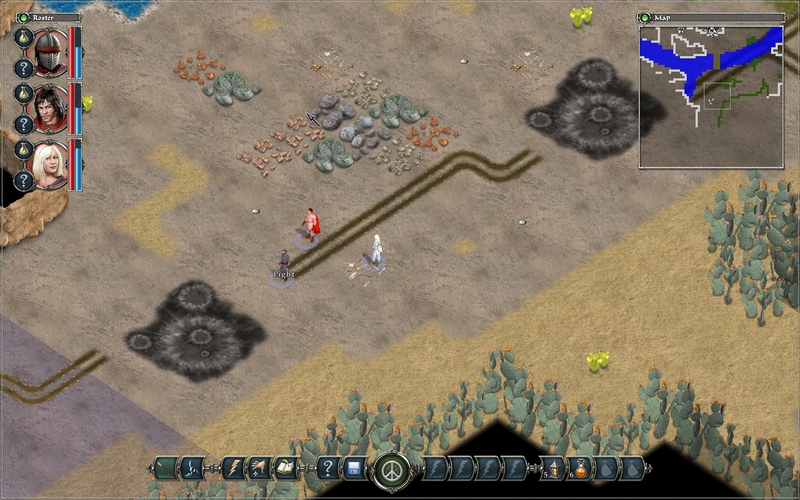 The graphics were actually fine (I even liked the whole pixel things) and it looks pretty good. It has been described as an epic story and there was no shortage of fights. Really this is the sort of game I SHOULD like. I think, it was the cumulation of a lot of different small things that bothered me. First, the combat: it was all the same. Regardless of who I fought, I would always end up doing move, attack, move, attack and maybe once in a blue moon would I use a health potion or make my mage use a spell. It was ALL the same. Next the role-playing: the story itself wasn’t actually gripping, not really. Plus, actually the RPing itself wasn’t that good… There was no rewards or punishments for decisions you made. In a number of RPG’s when you make a good or a bad decision, your characters “goodness” or “badness” increases. This means that although there is no immediate changes you know that you are playing the long game. In Avadon there is nothing like that, so choices made (in conversation say) don’t seem to matter. Especially as you can actually replay pretty much every conversation and so try out every option, which seems fairly silly. Another point of dislike is the lack of sound. It sounds like a small thing but it actually removes a lot from the gaming experience. Without voices, the long, long, loooooong character dialogues get boring extraordinarily quickly. The fighting doesn’t have any weight, and even walking around becomes a chore. Sound, it seems, means a lot to a game.